The O'Connor's home is the epitome of quality. 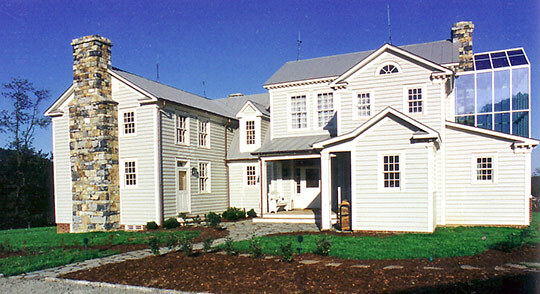 From the antique materials that were used, to the pain-staking attention to detail, a truly remarkable home was created. 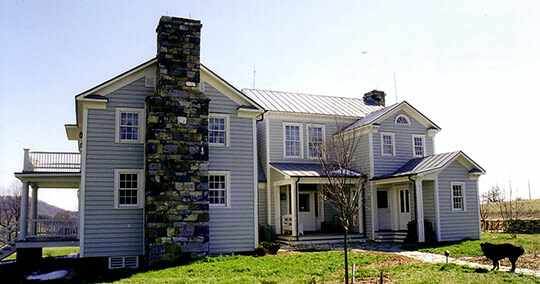 The O'Connor's house sits comfortably on the site, as if it had always been there. It's all in the details. The siding is real wood sawn locally. The patio is made of soapstone out of Nelson County. 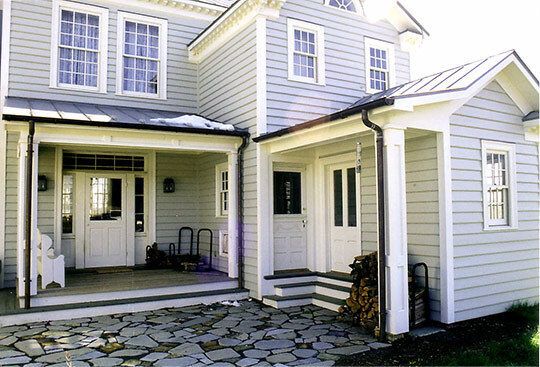 The trim details, the posts, and the doors are all antique salvaged elements. The main entry door was from a home in which Walt Whitman lived for a season of his life. 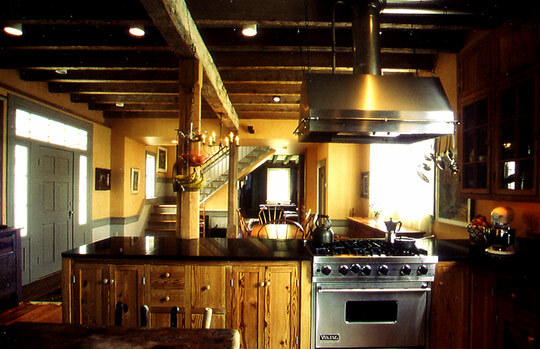 The open kitchen area stretchs into the dining area providing a welcome place to entertain guests. 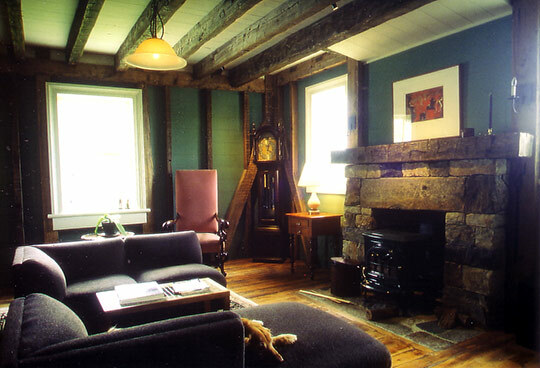 Exposed beams and solid rock work create a comfortable sitting area in the home. 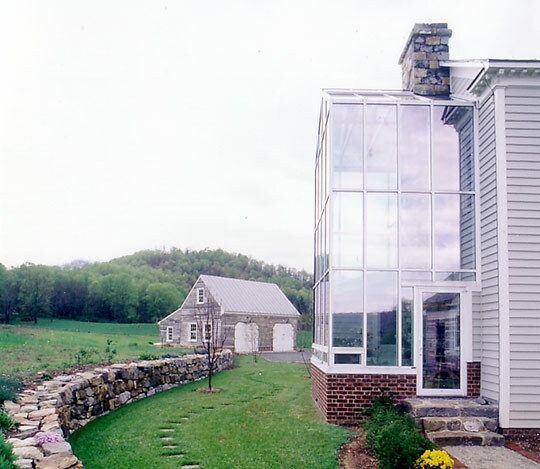 A curved retaining wall borders the O'Connor's custom greenhouse portion of their home. A garage sits in the background. Another look at this captivating home. 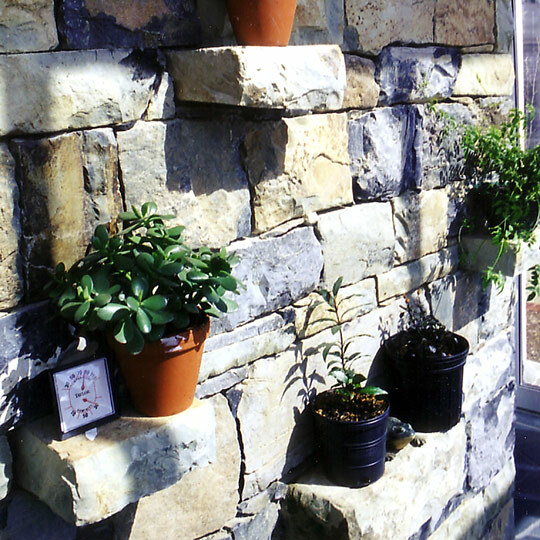 Our stone masons included several extended stones in the chimney to create perfect little shelves.